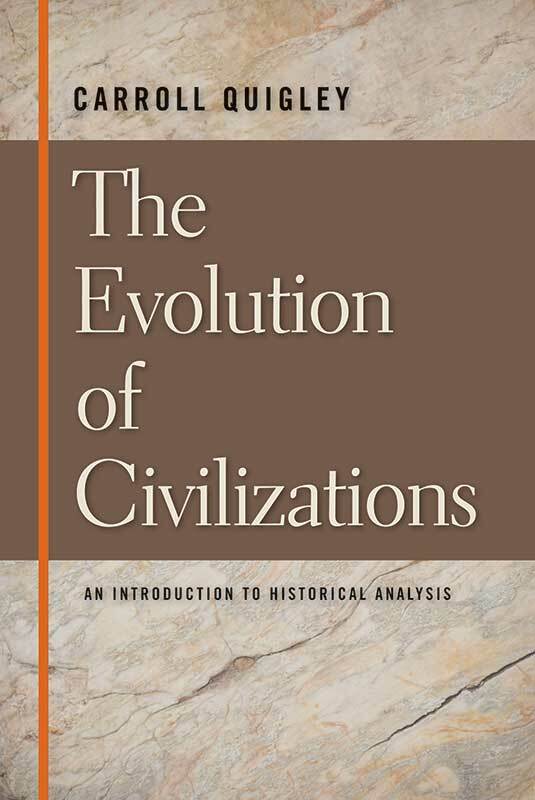 Like the course, The Evolution of Civilizations is a comprehensive and perceptive look at the factors behind the rise and fall of civilizations. Quigley examines the application of scientific method to the social sciences, then establishes his historical hypotheses. He poses a division of culture into six levels from the abstract to the more concrete. He then tests those hypotheses by a detailed analysis of five major civilizations: the Mesopotamian, the Canaanite, the Minoan, the classical, and the Western. Quigley defines a civilization as “a producing society with an instrument of expansion.” A civilization’s decline is not inevitable but occurs when its instrument of expansion is transformed into an institution—that is, when social arrangements that meet real social needs are transformed into social institutions serving their own purposes regardless of real social needs. Foreword, selective bibliography, preface to the first edition, diagrams, tables and maps, index.